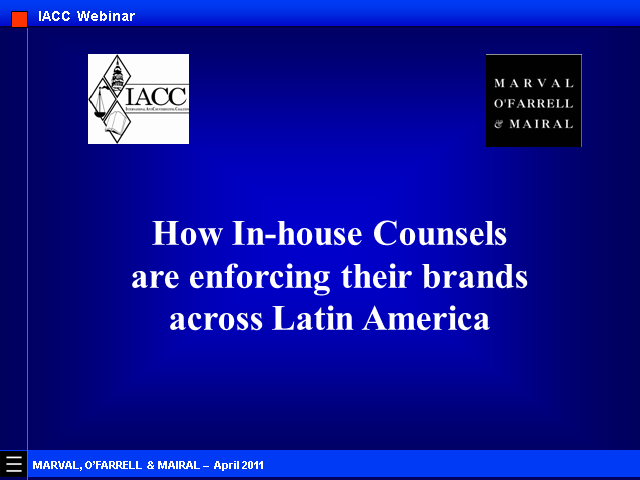 In conjunction with the International Anti-Counterfeiting Coalition (IACC), Marval O’Farrell and Mairal will present a webinar focusing on how four of the world’s largest and most famous brands are enforcing their IP rights in Latin America. A highly practical webinar focused on the uncertain world of how to protect Biologics in Latin America. •A comparative look at the differences between jurisdictions. Global Law Webinars is a centralized point for the legal community to come together to learn about all areas of law and regulatory systems worldwide.